I just finished knitting a new Wee Wildflower Cardigan for my almost 9 year old. The size 6 hangs loosely on her tiny frame leaving her a few years of growing room. She's such a petite little thing. I knit up her little sweater in a gorgeous Patagonian wool that I received from The Nature Conservancy a few months back. As far as I know, this yarn is not yet on the market, although I wish it was because I want to buy all of it.. It is sooo wonderful. I am honored by the privilege of getting to knit with it. I spoke all about this yarn HERE. 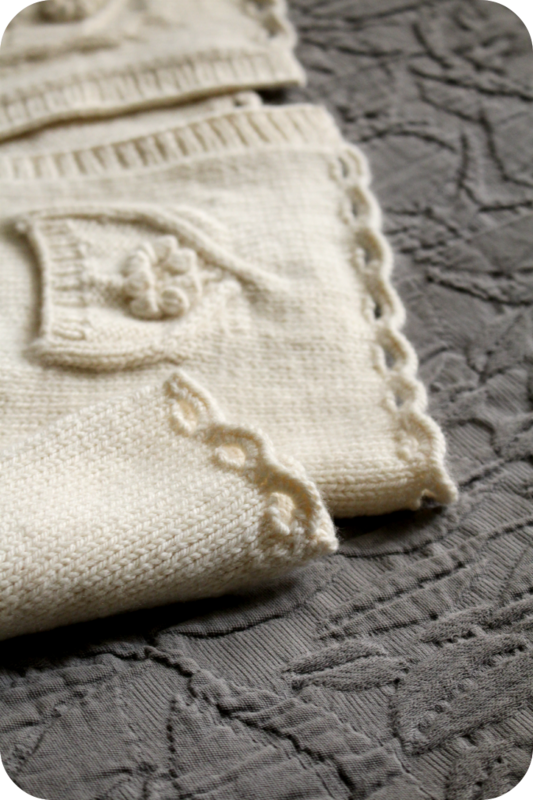 The sweet feminine details are what makes this cardigan special. I love the heirloom look of it with its sweet picot edging and wildflower pockets. I am pleased that my daughter has another of these cardigans to wear this fall.. winter and.... upcoming Spring! I know she will get so much use out of it. 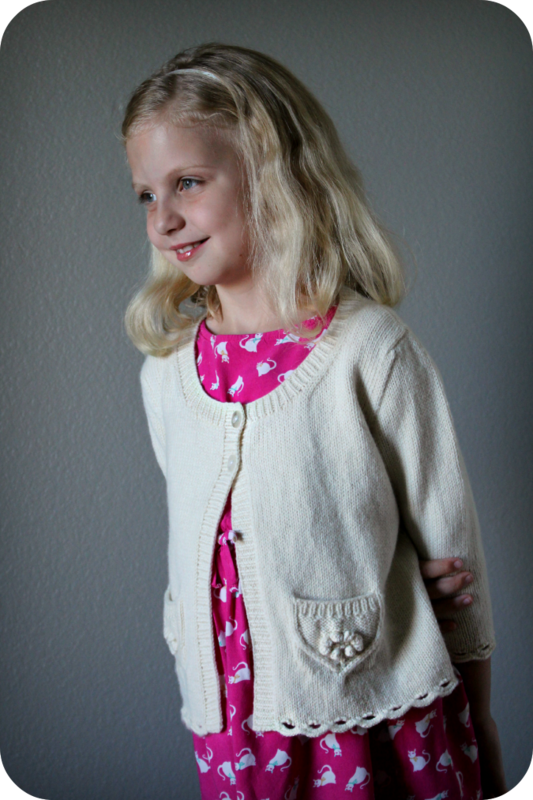 The Wee Wildflower Cardigan pattern is available HERE. The Adult Wildflower Cardigan pattern is available HERE. 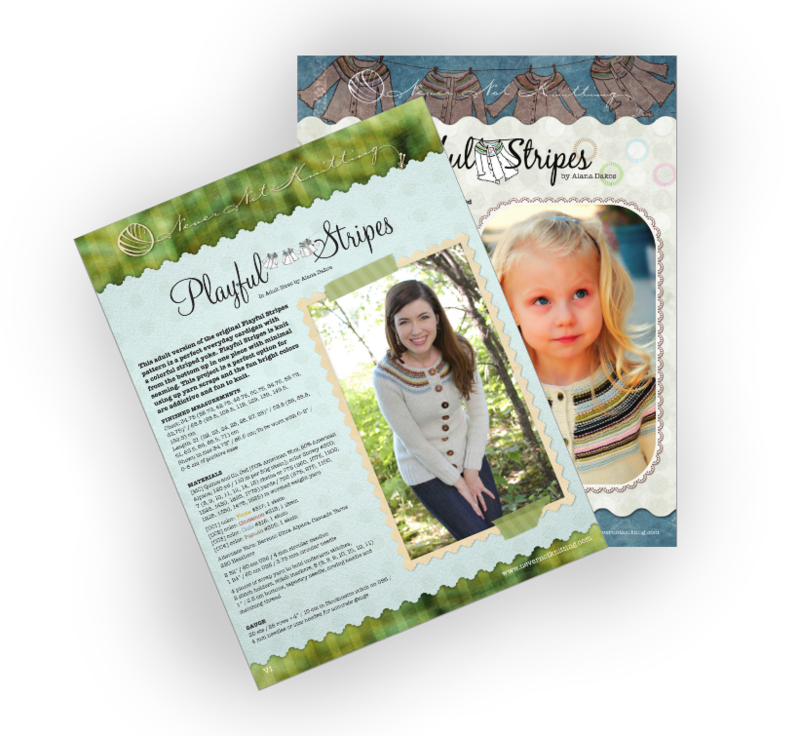 Enter to win a printed copy of both the Adult and Children's Playful Stripes Cardigan patterns by leaving a comment with your contact information under this post by October 15th. Only one comment per person please! 3 winners will be announced on Episode 84. Playful Stripes In Adult Sizes- Now Available! The Playful Stripes Cardigan for women is now available for purchase! This is an adult version of my original Playful Stripes Cardigan for little ones. (My very first sweater design from long ago!) 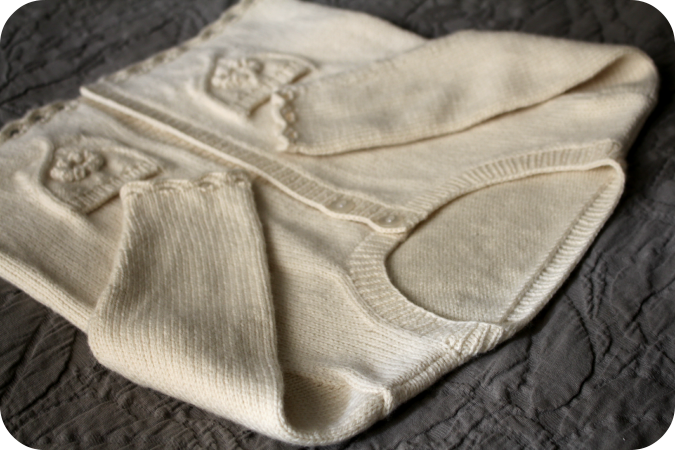 Both the adult and child size version are knit from the bottom up in one piece with minimal seaming. I used the lovely Quince and Co. Owl yarn for my version, but the fun stripy yoke is the perfect opportunity to use up little scraps of colorful yarn you might have lying around. 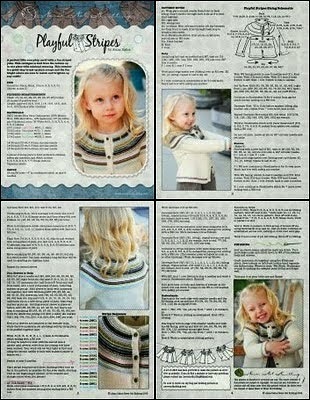 If you have knit the child's version in the past.. you will know how addicting the striped portion is to knit up! 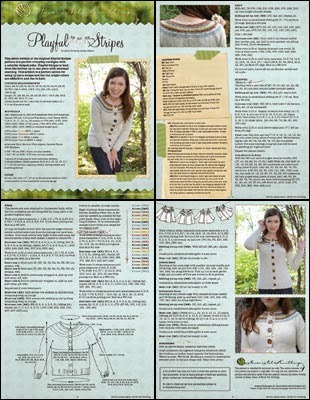 Here is the pattern information for those of you interested in knitting up a Playful Stripes Cardigan of your very own. 20 sts / 28 rows = 4” / 10 cm in Stockinette stitch on US6 / 4 mm needles or size needed for accurate gauge. in print at your local yarn shop! child's version pattern pdf at a 50% discount. Simply add both patterns to your "cart" and use the coupon code "playfulfamily" in the checkout process. I hope that you enjoy knitting up these fun, stripy sweaters for Fall!